Let me start by thanking former chef of Five Doors North, Anthony D’Ambrosio, for bringing the joy of seafood one step closer to my door. 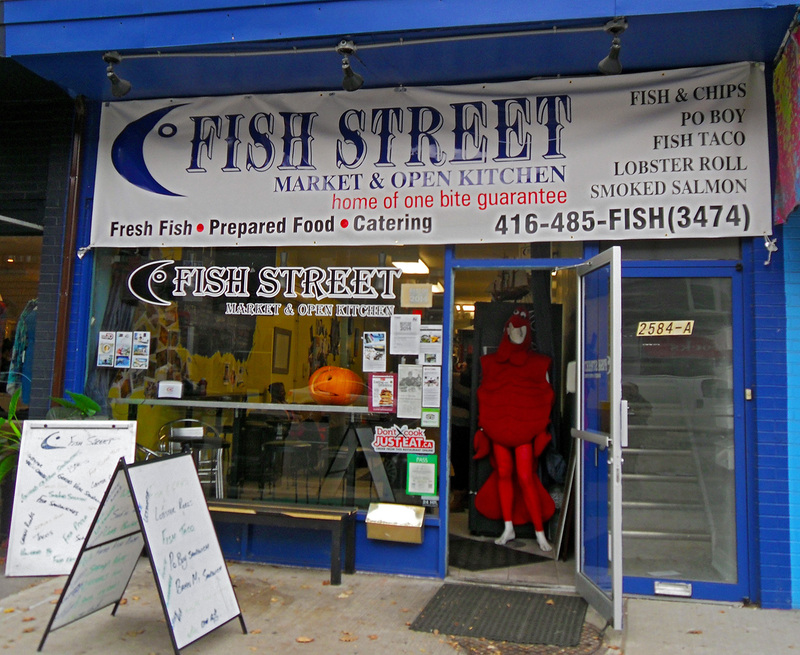 Located at 2584 Yonge Street is Fish Street Market & Open Kitchen; truly one of a kind. If you’re looking for fresh fish, fish tacos, seafood salads, or even a ceviche, keep this place as an option. Keep in mind this is an eatery type of establishment, so there are not many seats available. 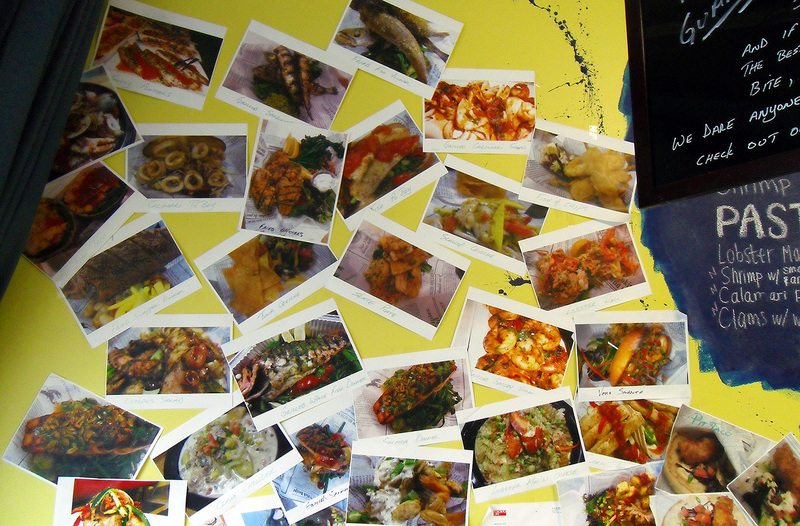 There is a bar for eating at, however, and a modest fish display. It’s interior is that of a proper fish restaurant, looking something like a street market; a little rough and industrial. Upon walking in last Friday I was immediately greeted as if I was a regular. The staff is extremely friendly, and will offer a sample of something if you’re undecided. 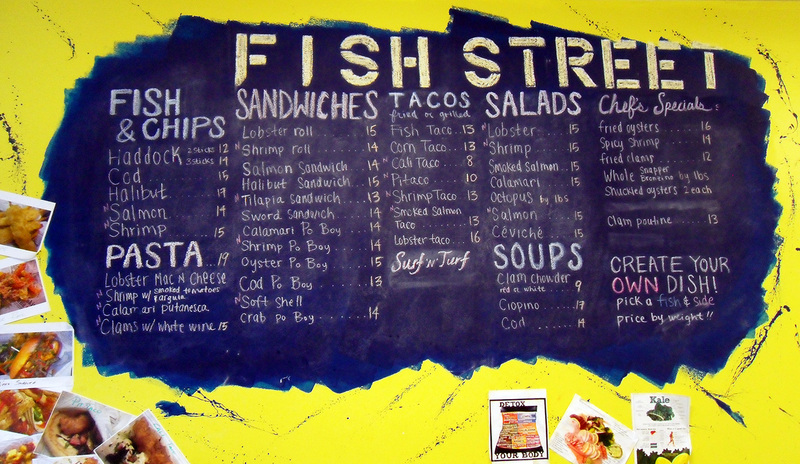 One look at the painted menu on the wall and I felt overwhelmed – like a kid in a candy store. So many choices to pick from. It eventually came down to a 2 lb. 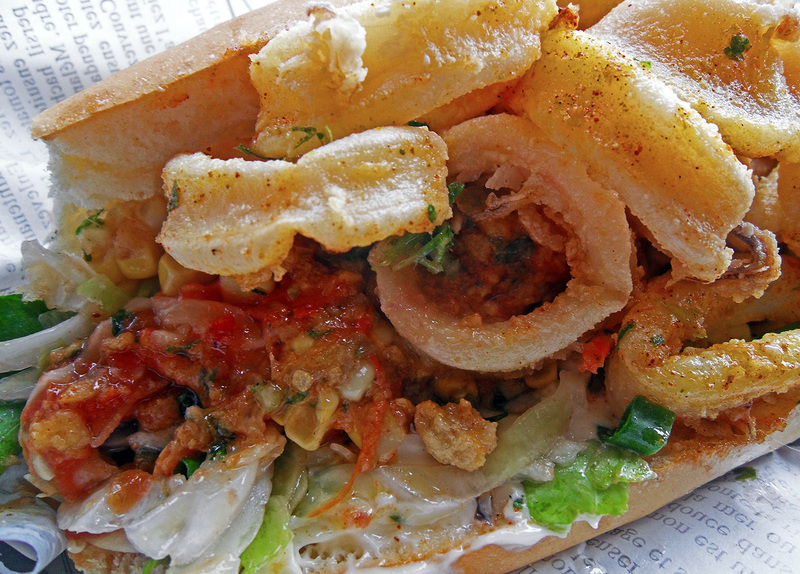 calamari po boy. 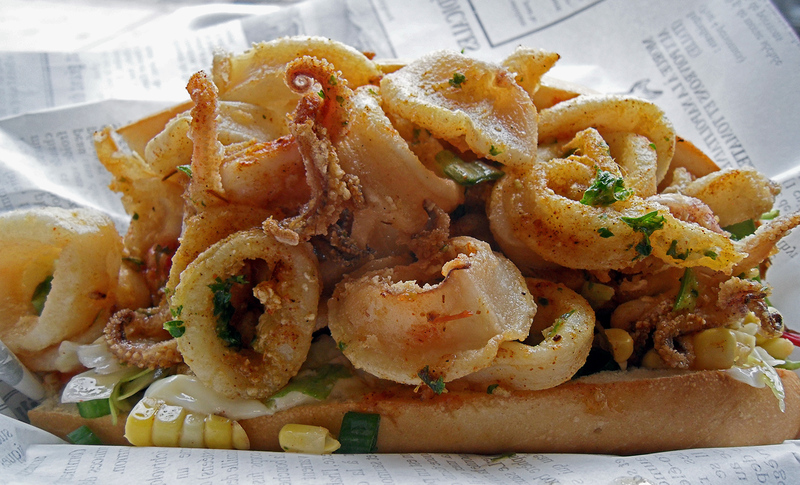 As I sat on the bar guzzling that mouth-watering sandwich I just kept thinking of how fresh, crispy, and flavorful the calamari was. But what brought the calamari and baguette into a blissful culinary union was the sauce, which was made with mayo, corn, tomatoes, green onions, and cilantro. 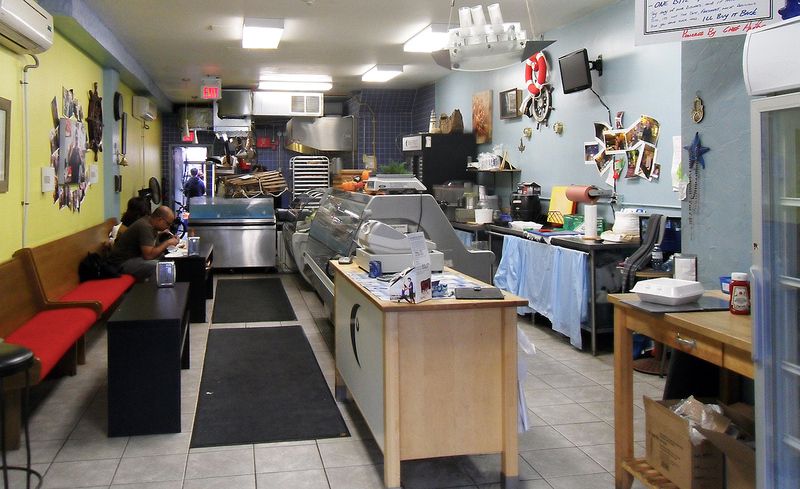 Fresh produce, fresh fish, all sauces made in-house and daily, as well as the bread and pestos – all daily and in-house. Not only is everything cooked in the store but the restaurant also focuses on local, sustainable practice as much as possible. Fish Street Market has been opened since late 2012 and a few months after opening it was planing on expand its offerings to include cooking classes, workshops, and special events including “Chef Anthony’s Spicy Shrimp Challenge.” I would love it if they went ahead with these plans. Their popularity in the Uptown Yonge area is increasing and I believe it’s because they kept on supplying quality fresh fish. I look forward to my next visit to try more another dish on their menu. Perhaps next weekend. Why not?